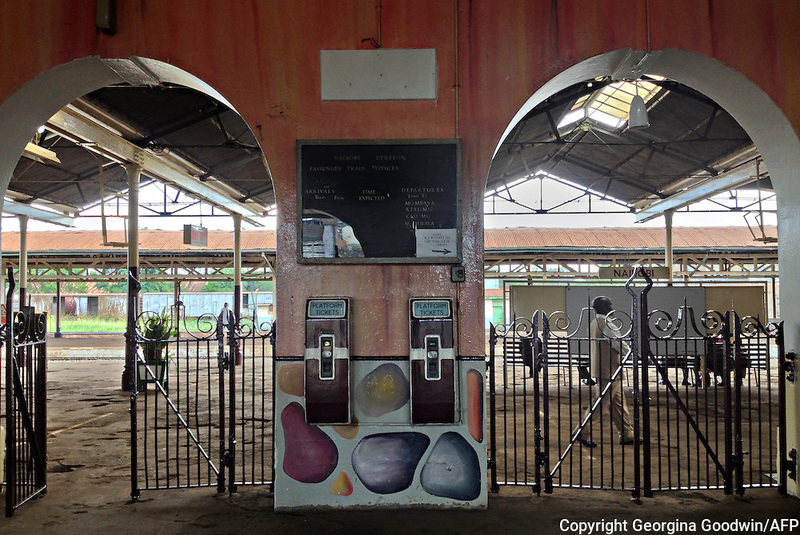 Entrance to the old Nairobi Railway Station platform - what the new Nairobi Commuter Railway platform used to look like before its KSh.400 million revamp. Kenya's President Mwai Kibaki launched the Nairobi Commuter Rail Service and the Syokimau Railway Station on Tuesday 13th November 2012 marking the next stage of railway development in the country since the earliest accounts of Nairobi's history dating back to 1899 when a railway depot was built in a brackish African swamp occupied only by the pastoralist Maasai and the agriculturalist Kikuyu people. The railway complex and the building around it rapidly expanded and urbanized until it became the largest city in Kenya and it's capital. Today passengers pay Sh120 one way for the 18-kilometre journey which is takes a comfortable 30 minutes. Before the revamp, commuters paid KSh.50 for a matatu bus along the Kitengela-Mlolongo route which is often dangerous and can take over 2 hours depending on traffic.